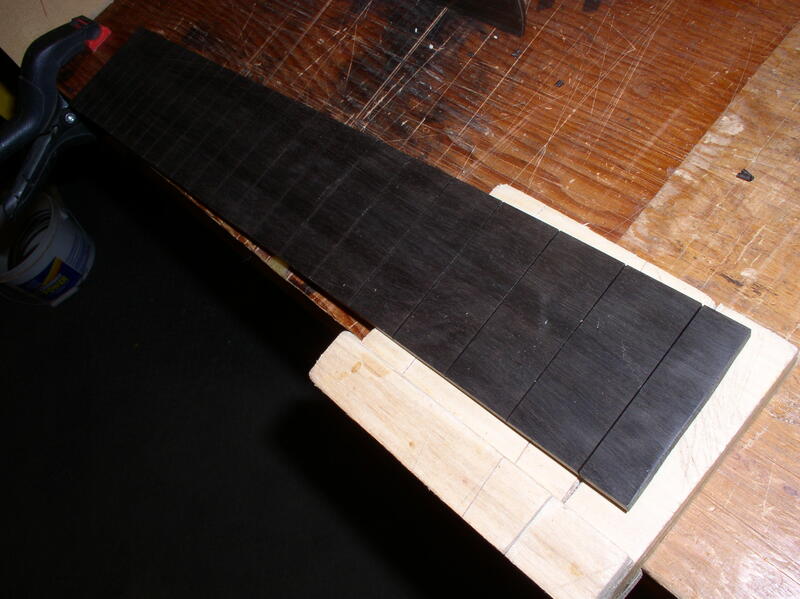 The fingerboard has been slotted, but still has parallel sides. I like to enlarge the slots a bit. 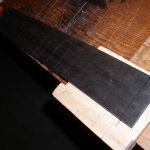 I’ve shaped the sides of the fingerboard and this is a test fit. 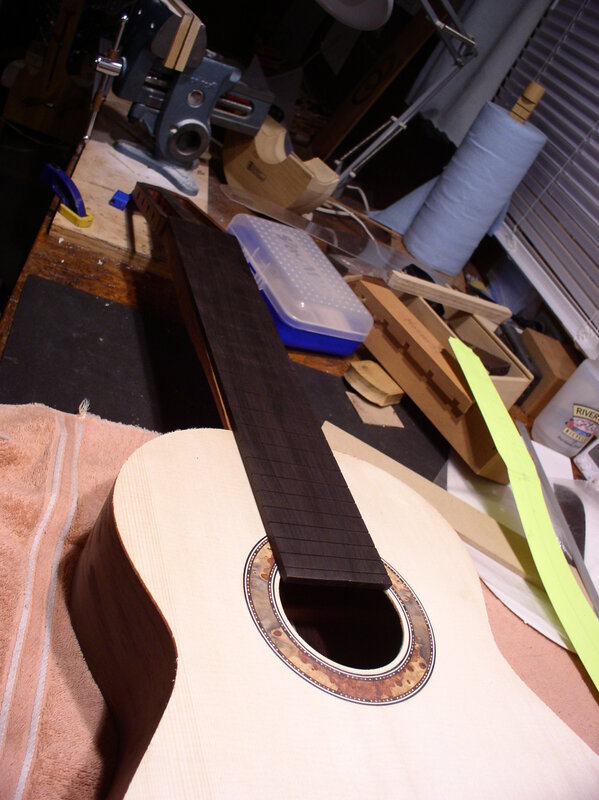 Later I’ll shape the area around the soundhole. 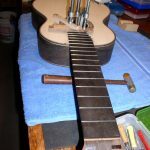 8 string guitars usually have the fingerboard abbreviated for the bass strings . 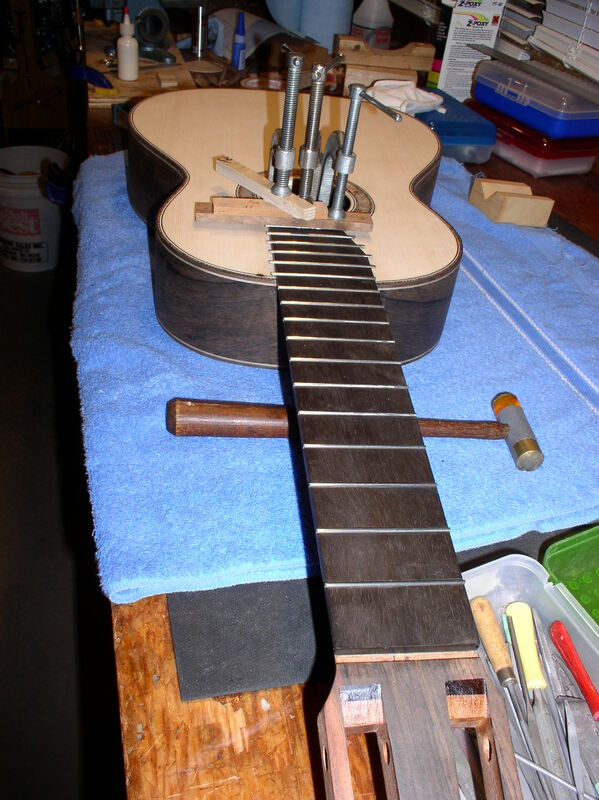 Gluing the fingerboard with all those clamps puts enough weight to bend the neck. To make sure that doesn’t happen, I reinforce it with thick L-bars. 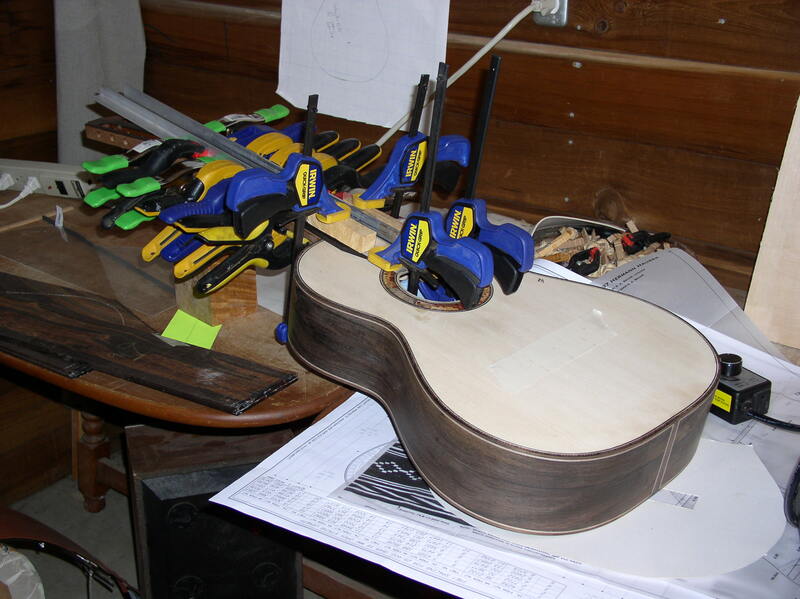 Gluing the fingerboard. 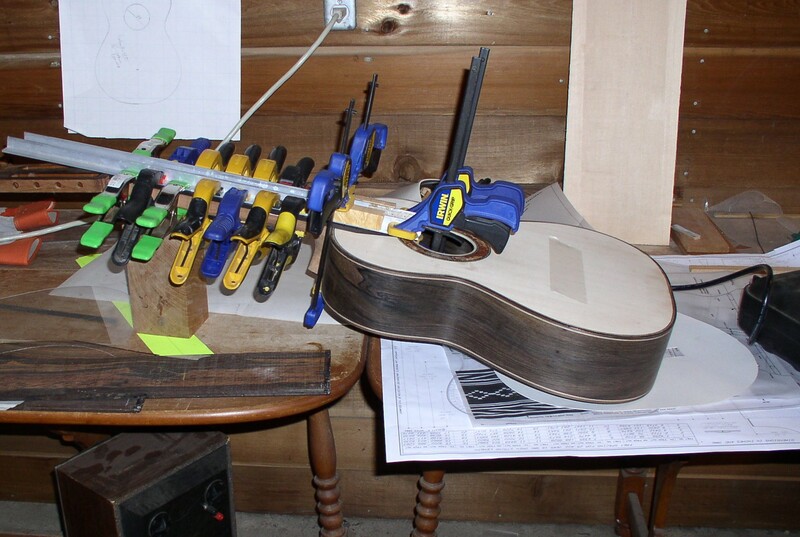 Lots of clamps. There are other ways, but i find this reliable. 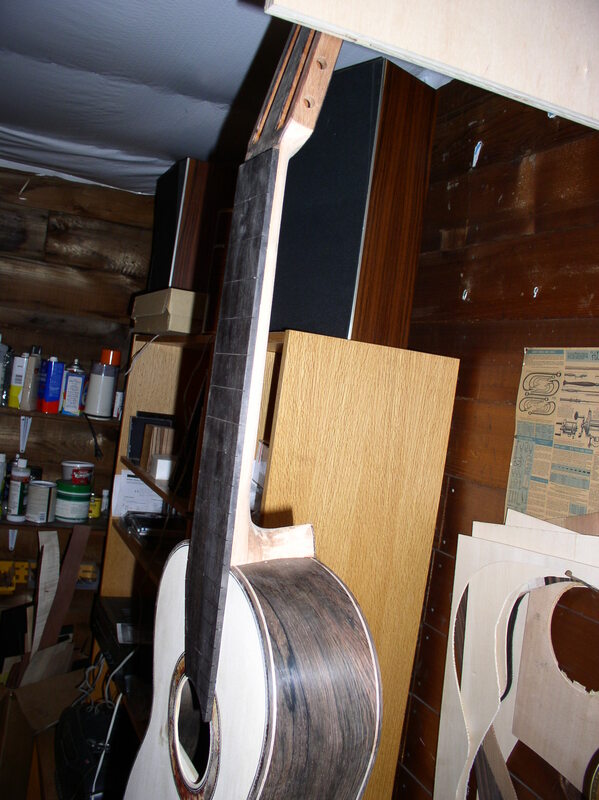 The neck gets carved and shaped and sanded after the fingerboard is glued on. 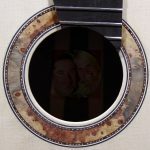 You can search my blog for “carving”. 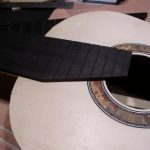 I usually glue in the last few frets. 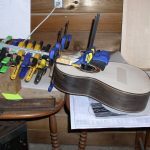 I do not like to pound on the fretboard next to the soundhole, so those slots are large enough to press the fret in with a c clamp. 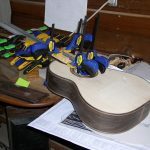 How the fingerboad adapts to the shape of the soundhole. 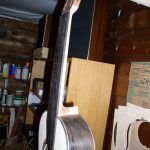 20th frets on 8 strings do not cover the sound hole. 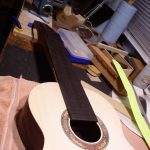 This entry was posted in workshop and tagged 8 string, fingerboard, fitting, frets, gluing, nacio. Bookmark the permalink. 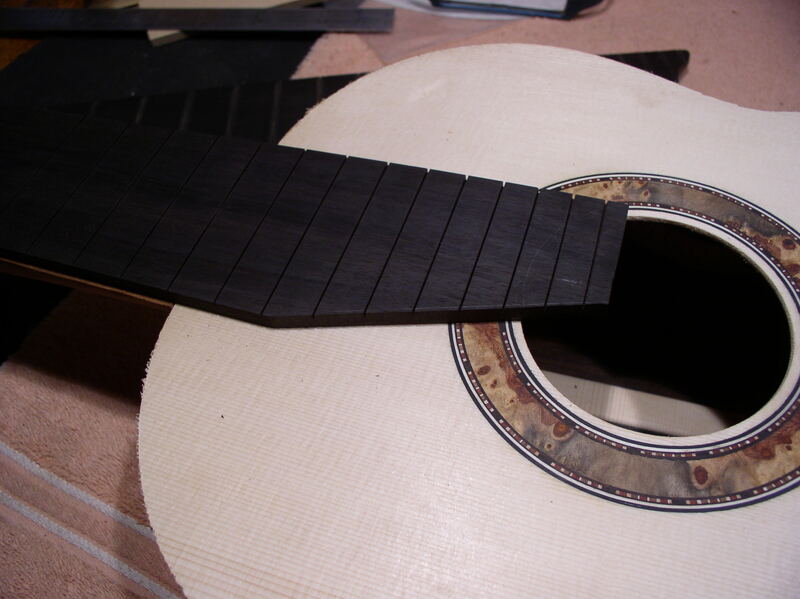 1 Response to Fitting and Gluing the fingerboard. 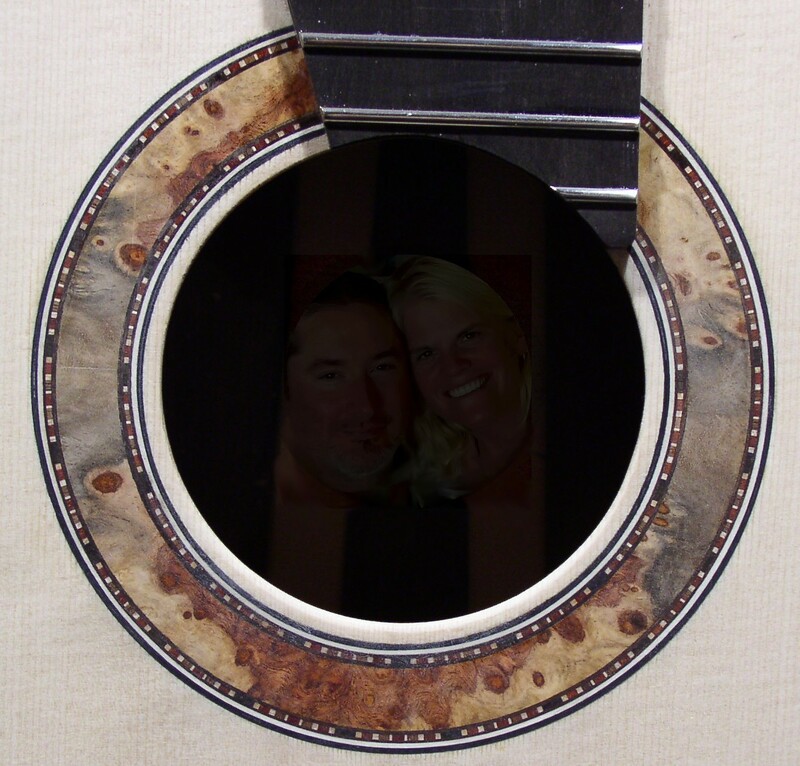 Hmmm…..that guitar looks familiar. Nice!